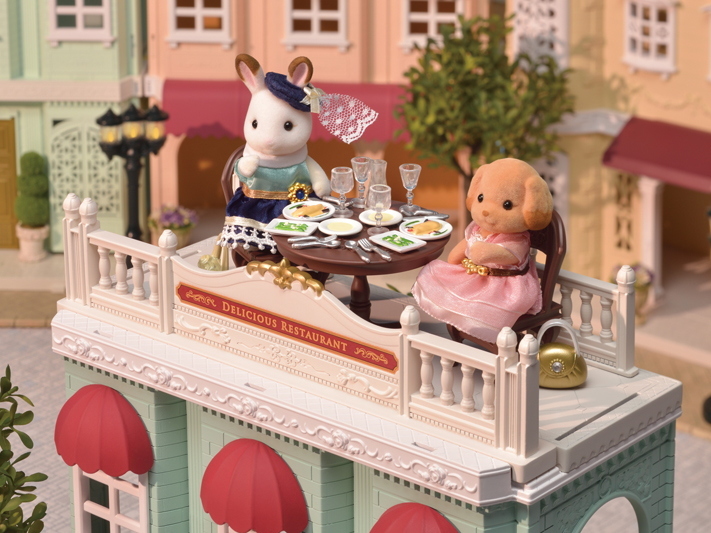 The Delicious Restaurant serves the finest food in town. 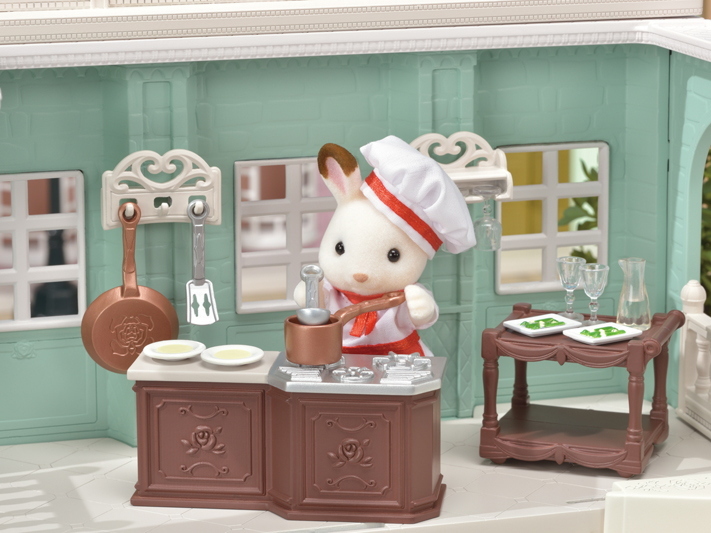 The Chocolate Rabbit father is the chef. 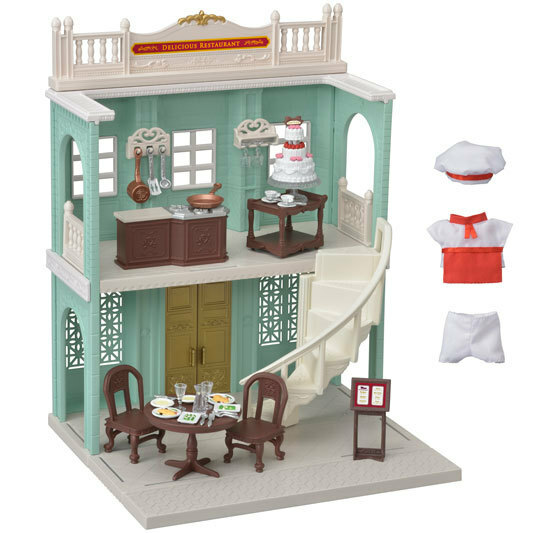 Set the fences, aisle, staircase, and awnings as you like, to make your very own restaurant. 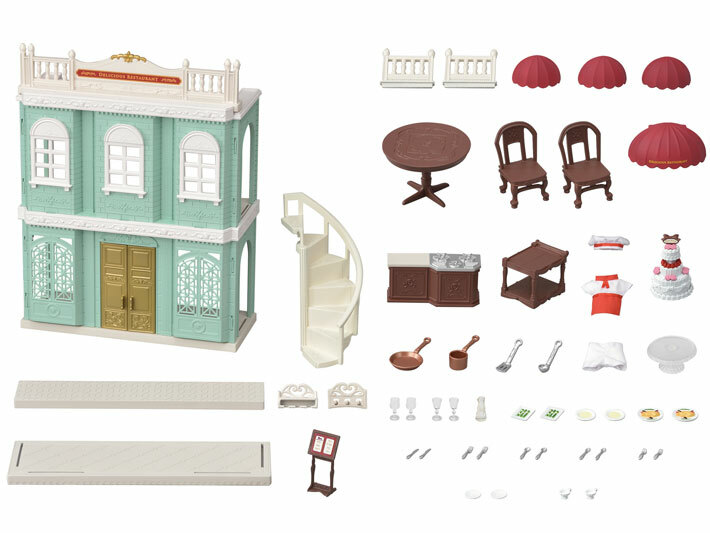 The set includes everything you need for a restaurant: kitchen unit, kitchenware, table and chairs, wagon, tableware, and even a chef's outfit. The gorgeous three-layered cake is perfect for parties. 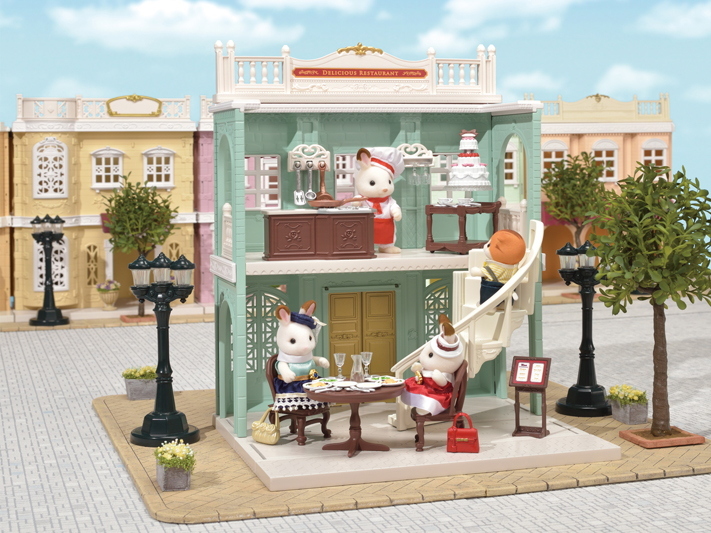 You can create your own townscape by combining this product with other buildings in the Town series, such as the Grand Department Store, Designer Studio, and Creamy Gelato Shop. You can also customise your building by replacing the windows, fences, and awnings included with the building (all sold separately).